The following are tips that will help you to choose the best medical aid scheme for yourself together with your family. You should decide whether you can afford day to day medical expenses. A hospital plan is considered to be affordable as compared to medical cover. Keep in mind that hospital plan cover specific chronic conditions. If you are suffering from dental problems, you should consider choosing a medical scheme that is adequate to you and if you are suffering from chronic diseases such as arthritis and diabetes, a full medical cover will be worth compared to a hospital plan. 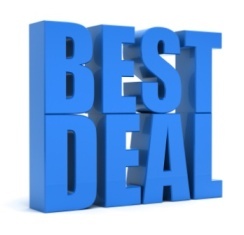 You should assess your finances by checking for the best deal for you and your family. If you have decided to choose a scheme that is open, phone the nearest private hospital in order to find out whether there were problems with that particular pay-out. A scheme will definitely look good on the paper since it will appear to pay all cost of variety of things. You should consider checking your medical savings account yearly and your daily limits. This will help you avoid getting a nasty hospital bill after your stay in the hospital. Remember, you may be liable for co-payments. You should find out about the scheme exclusions before signing the document. The Council for Medical Schemes governs the scheme and pays the provider directly. Regardless of the cost, the scheme has to cover the full cost and cannot refuse to cover to anyone irrespective of health and age. Medical scheme usually covers chronic conditions including diabetes, HIV and heart conditions. Keep in mind that the medical aid can charge you a penalty if you join the scheme with more than 35 years. Hospital insurance is a short-term insurance product. This is because it is an affordable medical option to choose. The insurance only pays the stated cover and can exclude certain conditions. Hospital insurance does not guarantee payment since it reimburses the policy holder. Many people join hospital prefer hospital plan since it is affordable, but when they get older they opt for medical aid where they are charged penalties if they are more than 35 years. Look for a financial planner who will advise you on the best medical plan for you together with your family.